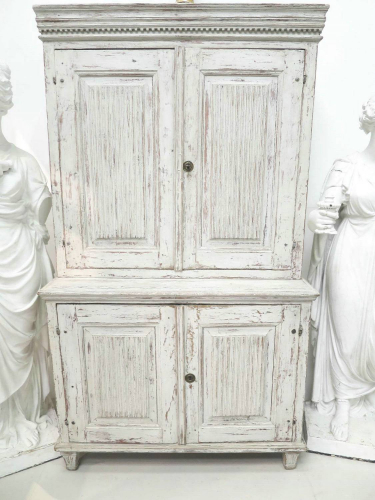 Late 18th c Swedish Gustavian 2-part Cupboard with traditional carved details. Pine with original remains of white paint. Interior has been repainted more recently - there are shelves both top and bottom with a spoon-rack in the upper part. Nice size and proportions.- very desirable.....circa 1800.